UPDATE 12/17: Kmart has apologized for the debacle, saying some contracts were “inadvertently” canceled but people still might not get the item they ordered in time. There’s an unhappy wind blowing toward Kmart right now, and it’s coming from the direction of disgruntled customers who say that after the retailer notified them of a Dec. 14 deadline to pay off layaway balances in order to have their items delivered by Christmas, the retailer has been canceling orders left and right, saying items are “out of stock.” Not only that, but some shoppers say they’ve been told their refunds won’t arrive until after it’s too late to buy new Christmas presents to replace the canceled layaway items. We got an email from Consumerist reader Amy, tipping us off to check out Kmart’s Facebook page, where indeed, the rage over canceled Christmas layaway items is in full effect. Customers want to know, among other things, why items weren’t placed on hold when they they were put on layaway? And how does Kmart expect people to pull the money out of thin air — money they already paid to Kmart’s layaway program — to replace those gifts that won’t be coming? Shoppers have reported hearing anywhere from 3-5 days for their money back, or even up to 14 days in some cases. What a joke this company is, sold products out from under our layaway contract. I even paid it off early before the deadline for Christmas and after I complained 2X they sent me a canceled layaway email, a week after I paid the layaway off! I talked to customer service and after they patronized me and talked to me like I was stupid they said it would take 7-14 business days to get my money back. That is way after Christmas, how does that help my child not having the gifts? Shame on you, Kmart! You seriously need to re-vamp your online layaway program. What kind of company lets you put in your layaway online in mid November, pay it off online at the first of December, and then sends you an email a week AFTER you’ve paid it off to inform you that the items are ‘out of stock’, will not be delivered AND it will take 3-5 business days to refund your money? Good luck finding that item somewhere else before Christmas, eh? You guys are the absolute worst. I will no longer be shopping at Kmart, and Sears. I had 2 layaway orders, both placed early last month. Finish paying them, excited to get my son’s Christmas shopping done earlier than normal, only to be told all the items I’ve purchased are out of stock. How very professional of you. When I have items on layaway at another store, like Walmart, they take those items and put them back to prevent this sort of thing from happening. How absolutely ridiculous of your company. You’ve lost my business and the business of family, friends, and anyone else willing to listen to my complaint. Seeing as I now only have 10 days to find all these items for my son, my FULL refunds better be in my account very, very soon. To whomever is organizing the class action lawsuit regarding Kmart layaway – Please add me to the contact list, as I too have been duped. Notified of cancellation 9 days before Christmas, no refund in sight and no idea what to do about it. Way to ruin the holiday Kmart! “We are very disappointed to hear that you had to go through this experience with your layaway order. Please let us know if you do not see your refund within 5-7 business days,” Kmart responded to some posts. We don’t want to hear that you are sorry or let you know if there is any problem receiving a refund. You are avoiding our questions…. I want to know how this can happen????? How do you have something on layaway and pay on it and hold your customers money without holding the product also? I expect an answer. Not your generic reply that you have replied to all of us. There are also all these other people: Not happy here, others ready to call the local news and there are even those who haven’t even used layaway who are ticked off. We’ve reached out to Kmart to get more information from their end on how this kind of thing could happen, and see how widespread it is. We’ll let you know if we hear anything back. In the meantime — did this happen to you? What kind of items did you purchase — toys, electronics, clothing? 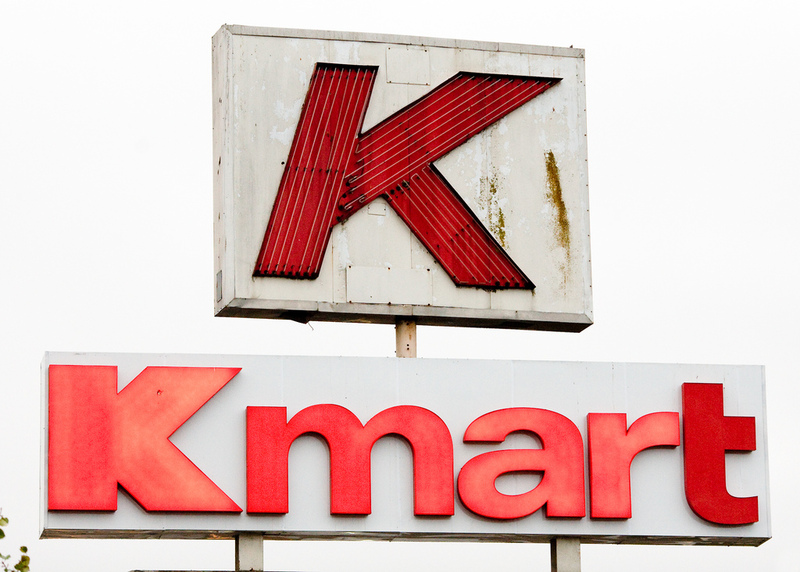 Send us your stories and emails from Kmart to tips@consumerist.com with the subject line KMART LAYAWAY. UPDATE: Consumerist reader Jessica wrote in after reading the original post and said she’s in a similar situation, and so far, Kmart’s responses have been dismal. She says she was offered a 10% discount on a “similar order” that wouldn’t be the same as the seven items she’d had in her layaway that were canceled on Sunday, but such a paltry effort isn’t playing with her.